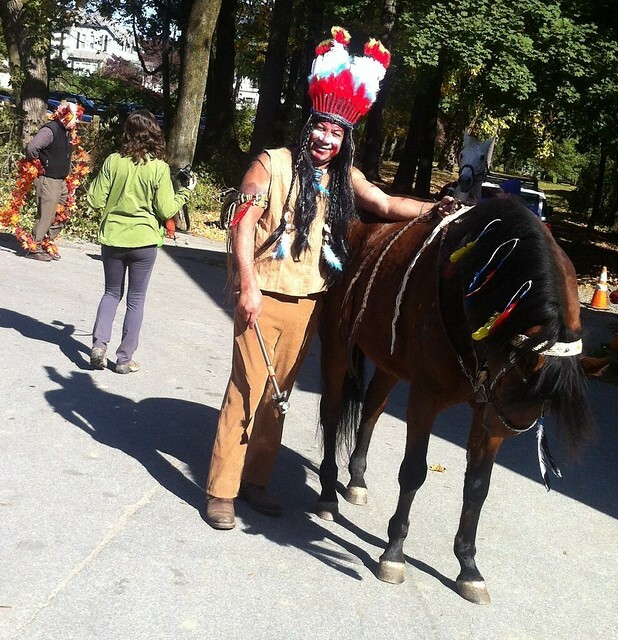 Horses, riders and spectators got in the Halloween spirit on Sunday at the Northwestern Stables Haunted Horses Costume Parade and Open House. Northwestern offers year round riding lessons, a summer camp, a Pennsylvania Equine chapter 4H, Department of Recreation field trips and conducts community service projects with Crefeld School students and the Boy Scouts. Harry Potter fans swarmed the attractions along Germantown Avenue on Saturday for the Chestnut Hill Harry Potter Festival. At Top of the Hill Market, Dan Lemoyne, a Harry Potter/Daniel Radcliffe doppelganger, obligingly struck poses with adoring fans for photos. Meanwhile Professor Dumbledore employed his sorting hat to assign “students” into different Houses of the Hogwarts School of Witchcraft. Lemoyne and friends Alyssa Alberto and Lisa Makhoul offered their responses to the question. “What role does fantasy play in your life?” Watch video here. Cynthia Day and Therese Tiger gave out brownies to raise funds for “Autism Speaks” a project of their daughters at the Springside School. Research is aimed at determining what environmental factors may be triggering genetic predispositions to the sensory/social/developmental disorder. 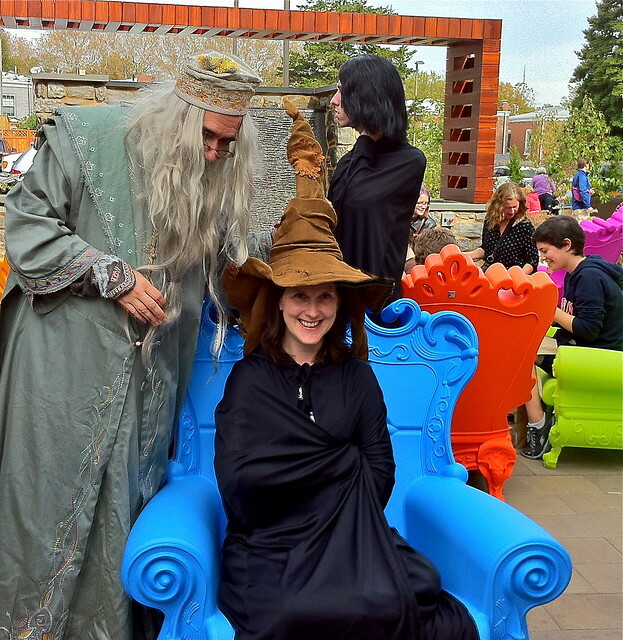 Why table at the Chestnut Hill Harry Potter Festival? 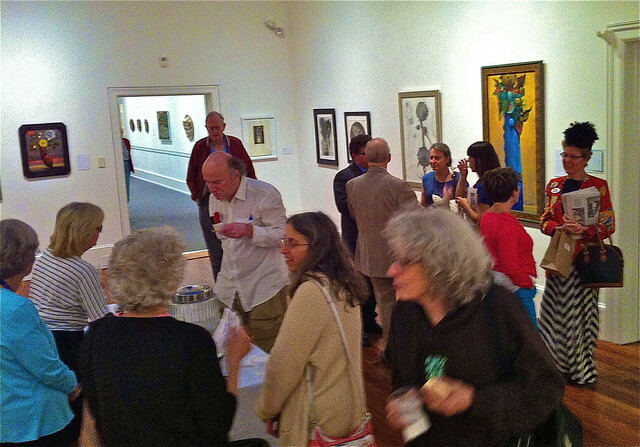 The crowds. But Tiger’s husband George drew a parallel between his autistic nephew and Harry Potter, both teens facing the normal teen challenges and, in addition, possessing special powers. Watch video here. Outside the Ministry of Magic (Chestnut Hill Visitor’s Center) a man was taking a photo of two young hooded women, one very colorfully attired, betwixt lifesize cardboard cutouts of Professor Dumbledore and Harry Potter. The women simply had happened to wander into the Harry Potter Festival wearing the garb of their homeland, Saudi Arabia. Instructional technology students at Chestnut Hill College, they were pleased to find themselves amid the festivities. “It’s fun,” said one who had read the first two books in the Potter series. Watch video here. 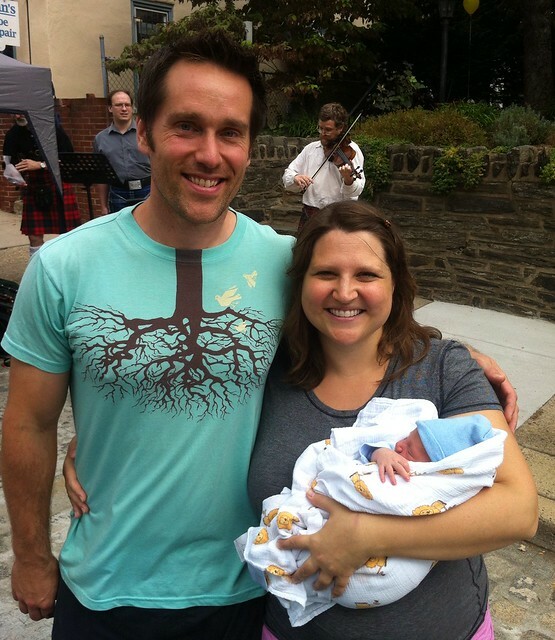 The youngest person at Chestnut Hill’s Fall for the Arts festival Sunday may have been two day-old Xavier Brubaker. Sleep-deprived but happy parents Japheth and Suzanne recently returned to Chestnut Hill with their 2 year-old daughter, Quinn, to be closer to family. They were the southernmost exhibitors at the festival, promoting their new fitness and personal training studio, "Water and Rock," at 8109 Germantown Avenue. Visit http://waterandrockstudio.com/ for more information. 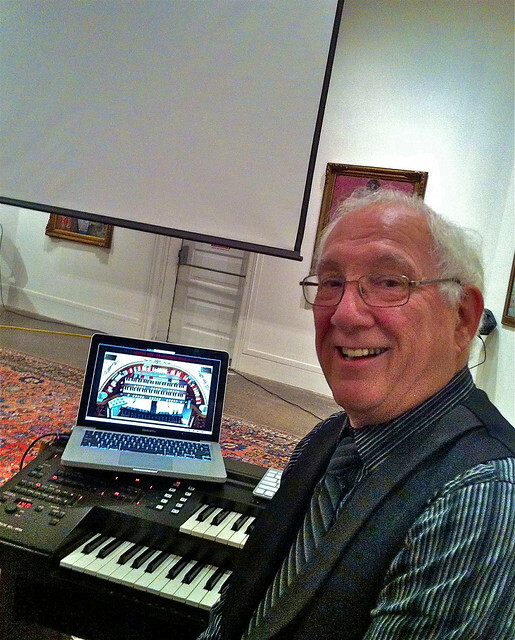 Moviegoers attending the Chestnut Hill Film Group’s inaugural screening of the season this Tuesday evening were delighted by the artful musical accompaniment of veteran keyboardist Don Kinnear. 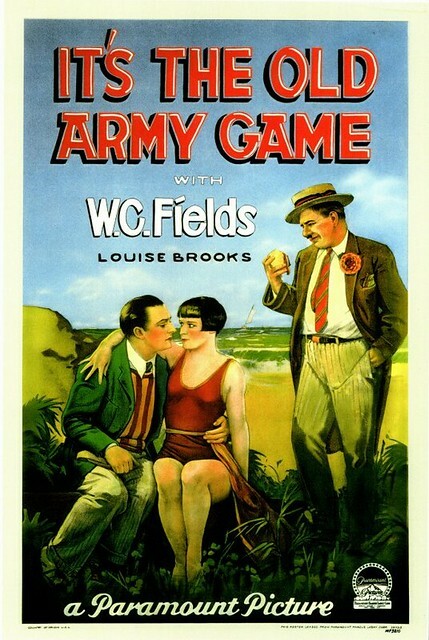 Kinnear improvised as he watched, for the first time, two silent short films chosen by Jay Schwartz (founder of the Secret Cinema) and employed the operatic style of playing and interweaving themes assigned to different characters for the silent main feature he had seen before, W.C. Fields’ 1926 “It’s the Old Army Game.” With his electronic keyboard and a laptop loaded with a digital version of the Wurlitzer organ of the Virginia Theater in Champaign, Illinois he reproduced the music, sounds and special effects (“toy counter”) the original audiences in the 1920s may have experienced. Watch video interview here.